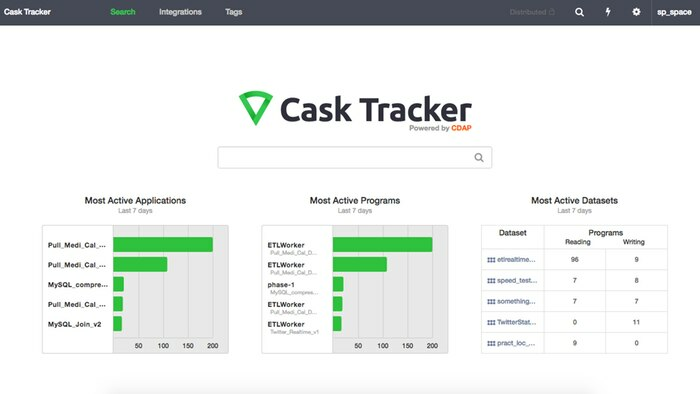 Cask provides the first unified integration platform for big data that cuts down the time to production for data applications and data lakes by 80%. Broaden your big date user base with a radically simple developer experience and code-free extensions. Reusable libraries can be assembled & run as data pipelines through drag-and-drop interfaces. Automatic tracking of audits and data lineage with discovery and search. Integrate into existing security and governance systems with authentication, authorization, and audit built-in. 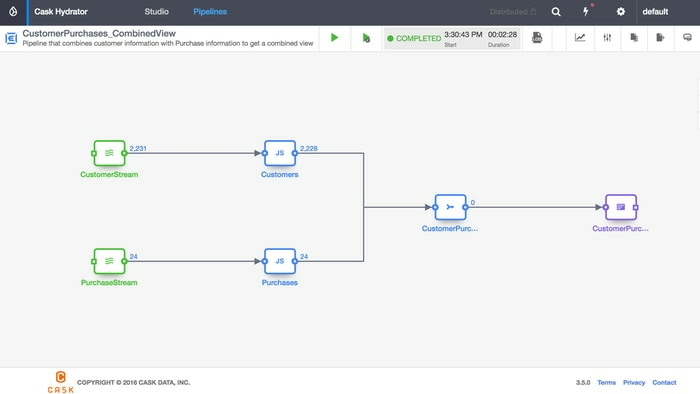 Interactive application for building, running &amp; managing data pipelines for data lakes. Integrated, code-free CDAP extension for data discovery, metadata tracking, data lineage, and usage analytics. 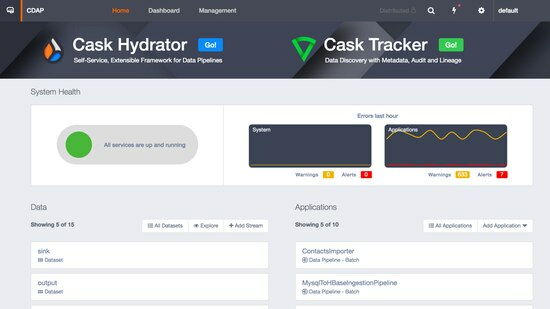 CDAP Hydrator: Interactive application for building, running & managing data pipelines for data lakes. CDAP Tracker: Integrated, code-free CDAP extension for data discovery, metadata tracking, data lineage, and usage analytics. Provided by Cask Data Inc.